(Nanowerk News) The three natural resources gold, neodymium and indium are among the rarest elements on earth: each of the three metals accounts for less than 0.00001% of the earth's crust. They can be found in a large number of electronic devices, in small quantities, but in key functions: Indium as indium tin oxide is electrically conductive and transparent at the same time. 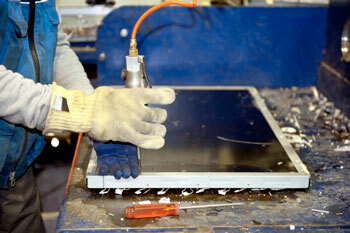 Because of these properties, the material is used in LCD screens, for example. Neodymium is used in combination with iron and boron to produce strong magnets. These are found in hard disks, loudspeakers, headphones and mobile phones. Gold finally is a very good conductor that cannot corrode. 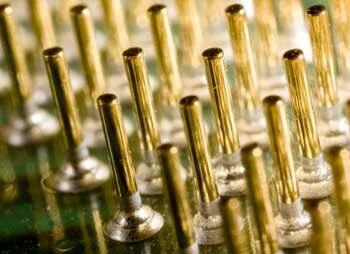 The metal is therefore used in electronic components such as switching contacts or printed circuit boards. Gold from electronic devices is largely recovered today – indium and neodymium, on the other hand, are lost. The problem is that neodymium and indium in particular are considered critical metals. This means that on the one hand there is a risk of supply interruptions, as the two rare elements are almost exclusively mined in China. On the other hand, their importance for key technologies is regarded as high and, accordingly, the effects of possible interruptions as particularly serious. However, in fact Switzerland also has mines for these three resources. Among other things, they are found in electronic devices that are in use or are already obsolete. Empa doctoral student Esther Thiébaud from the Department of Technology and Society has now for the first time investigated where the three rare metals can be found in Switzerland – and how much of them has already been lost for further use. Her analysis revealed that the largest proportion of all three substances is found in devices that are currently in use. Then the paths of the elements diverge: The second largest share of indium is found in slag from waste incineration plants – and is therefore lost for possible recovery. The same applies to the second largest share of neodymium; it is found in slag from metal smelters, which is used in the construction sector. Gold, on the other hand, is already recovered at 70% for economic reasons when equipment has reached the end of its life cycle. While the recycling rate for gold is already very good, neodymium and indium are not yet recovered at all in Switzerland. As early as 2015, an Empa team led by Heinz Böni was commissioned by the Federal Office for the Environment (FOEN) and the Swiss Association of Information and Communication Technology Providers (Swico) to investigate whether the recovery of indium and neodymium makes ecological sense and is economically viable. Technically, indium can already be recovered today, albeit at relatively high effort. And from an economic point of view, only moderate additional costs are incurred for the recovery of indium from screens. These could be covered by increasing the early recycling fee by 50 centimes per screen. Ecologically, however, the matter is clear: a mountain of disused screens has a higher indium content than a mine with the same volume from which indium is extracted as the primary resource. According to the study, the environmental impacts of recycling are also as high, if not better, than those of primary production from minerals. However, this only applies if the discarded equipment is manually dismantled in the first processing step and not mechanically crushed. In the case of neodymium, the ecological balance is even clearer: if the material originates from the recycling process, then the burden on the environment is one third less than if it were extracted from a mine. Similar to gold, indium and neodymium can be clearly located in separable components of an electronic device. It would also be technically feasible to recover the raw materials, albeit at considerable cost. So why have these metals not been recovered so far? LCD screens contain small amounts of indium. From an ecological point of view, it is worth extracting the material - at least if the devices are disassembled manually. To answer this question, it is important to consider the quantities involved. Indium has only been used in significant quantities since the turn of the millennium. In 2014, the year for which the latest figures are available, around 1.7 tonnes of the metal were present in devices in Switzerland that were still in use. However, the devices that were disposed of in the same year contained only about 135 kg of indium. Around a third of these did not reach the recycling process at all – for example, because the devices were thrown into normal rubbish or exported abroad. Of the approximately 90 kg of indium that went through the recycling process, 90% ended up in incinerators, 5% was lost in the melting process – and only 5% was stored for possible future reprocessing, according to the study. Neodymium has been present in large quantities in sold electronic equipment since the early 1980s. In 2014, around 39 tonnes of neodymium were still present in equipment still in use, while the equipment disposed of in the same year contained 3.9 tonnes. Of these, 2.8 tonnes reached the recycling process, where the element ended up in the slag of the smelting process. The figures for gold lie between these two: 4.8 tonnes were in equipment, 440 kilos were separated into gold-containing components and 330 kilos of these reached the recycling process. From then on, the losses are low: 95% of the gold that reaches the manual dismantling phase can be recovered. So it cannot be purely due to the quantities that the additional effort for recovery is only required for gold. Looking at the value of the metals reveals an interesting fact: The 90 kg indium that ends up in the disposal process is currently worth around US$ 36,000; 2,800 kg neodymium US$ 200,000 – and the 330 kg gold US$ 13,600,000. So from an economic point of view, the effort for gold is worthwhile despite the small quantities – for neodymium and indium, on the other hand, the financial motivation for the recycling companies is currently (still) low. “By far the largest proportion of neodymium and indium is still in the equipment currently in use,” explains Esther Thiébaud. “A slight increase in the prepaid recycling fee would already be enough to turn recycling into an economically attractive option”. Until then, it would at least make sense to temporarily store components with a relatively high proportion of indium and neodymium – so that the resources are not lost forever.